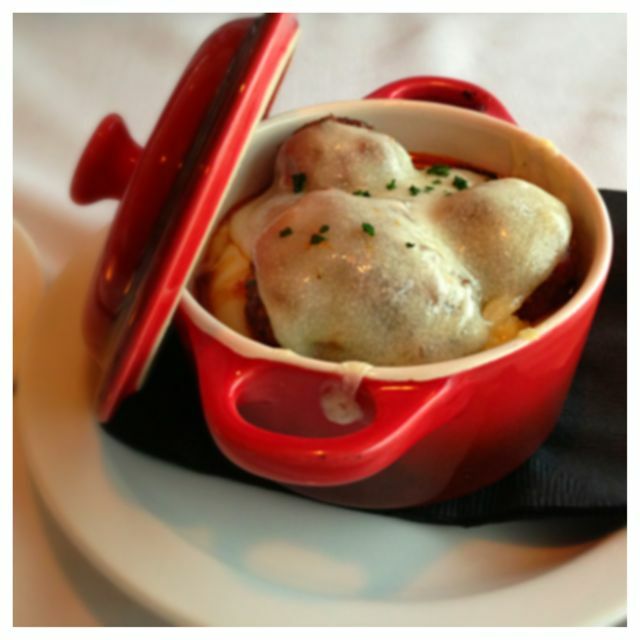 We went to Bistro Marquee because we were intrigued by the Portland Dining Month. I loved that they had multiple things on the menu giving us lots to try. I also love their other restaurant Thirst Wine Bar & Bistro, so it had to be good. We started off the evening with a charcuterie plate. 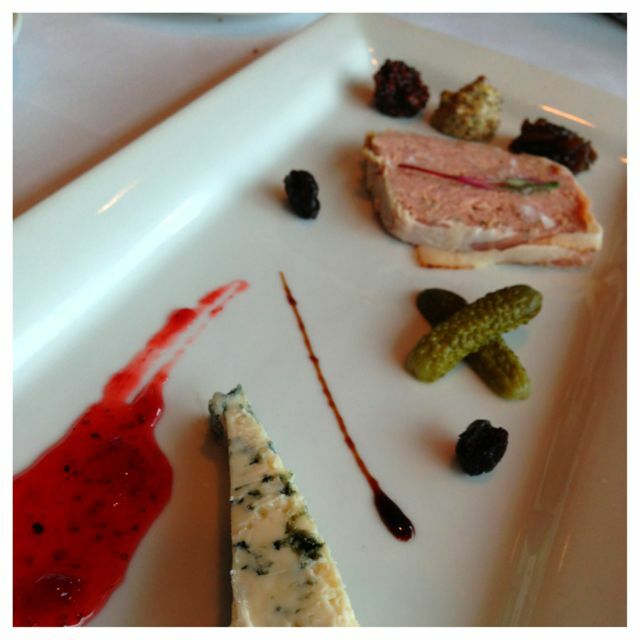 It came with a Pâté and a nice slice of Gorgonzola and was served it with some crusty bread. We also got the lamb meatballs over polenta. I loved the little container that they came in keeping them nice and warm. I like lamb, I don’t love it, but these seemed mild enough that I was able to enjoy them and the polenta was amazing. I loved their polenta at their other restaurant, so I was pretty sure it would be the same and it was. Crazy thing is I was literally craving this polenta like 2 days before. Score! For our entrees we chose a pasta dish and a meat dish. 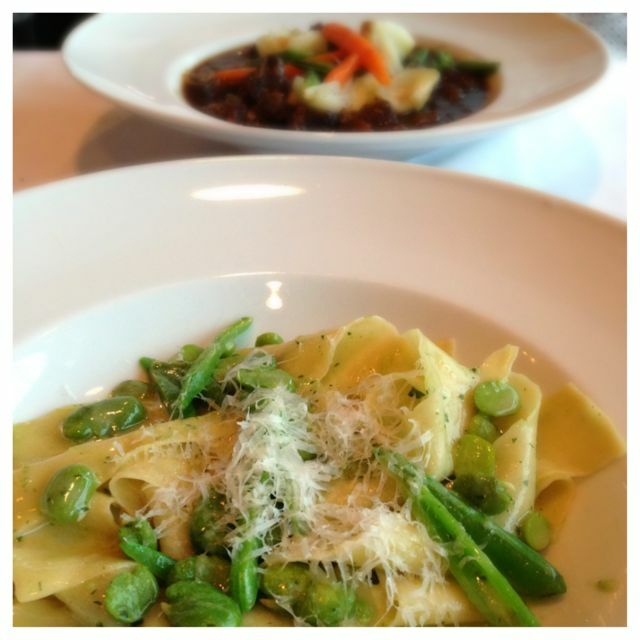 My pasta dish was very seasonal with fava beans and snap peas. Even though it was a pasta dish it was perfect because it did not have a heavy sauce. Great, great spring dish. We also chose the Beef Bourguignon with mushrooms, pearl onions and mashed potatoes. This was a super hearty dish. It was fantastic, but it was very winter, comfort food to me. It’s a dish I will certainly go back and order in the dead of winter, but it was almost too much on this warm spring day. Don’t get me wrong, it was good! 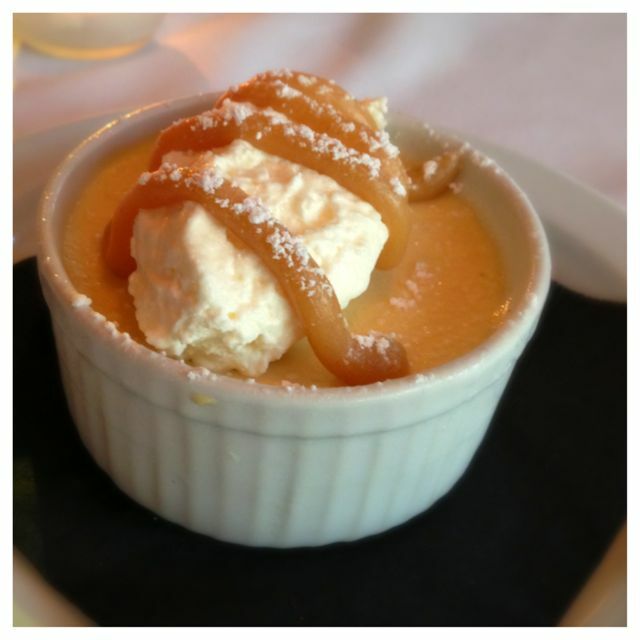 We ended the evening with our dessert choice of Butterscotch pot de crème. It was creamy, rich and a perfect ending to a great meal. Pricing was good. We did the 3 course meal, I forgot to check prices of the rest, I was so focused. The cocktail we ordered was $10 which seems high. I haven’t heard of this place! 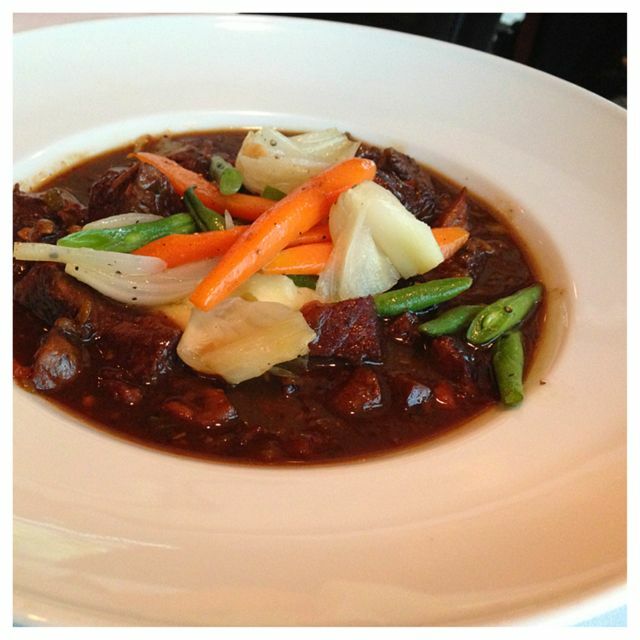 Beef Bourguignon is one of my favorite dishes. I guess I should have added that it’s only about 1 month old.